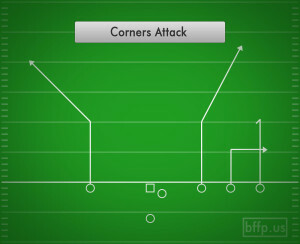 Corners attack does just what its name says it does: Attack the Corners. 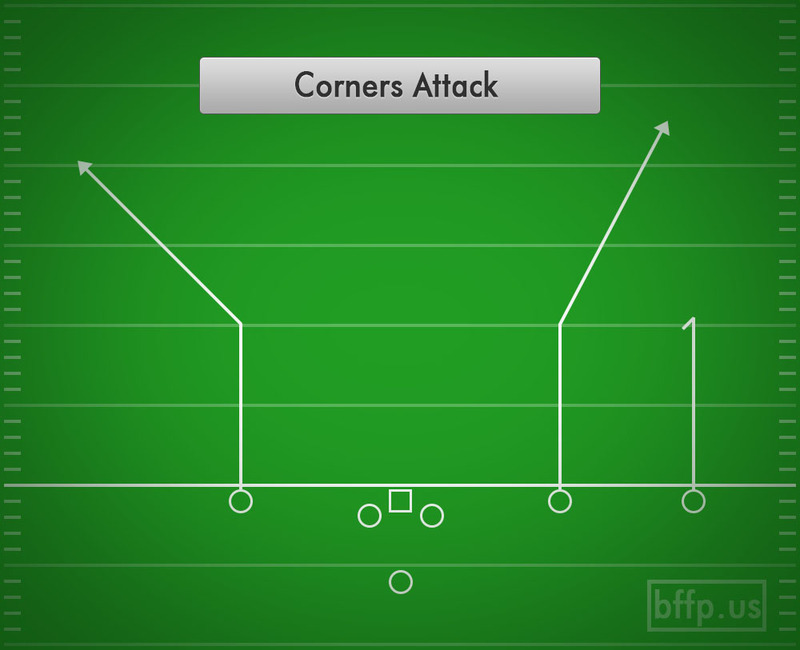 The corner routes get depth into the corner of the defensive secondary, while the underneath routes wreak havoc in the flats. 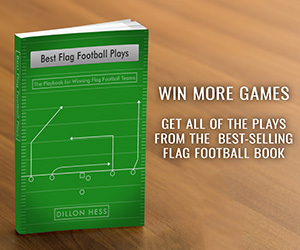 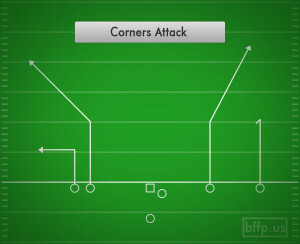 The slot receiver who runs the corner in combination with the 10-yard curl, has to make sure that he gets depth so that he is properly spaced over the top of the Curl route. 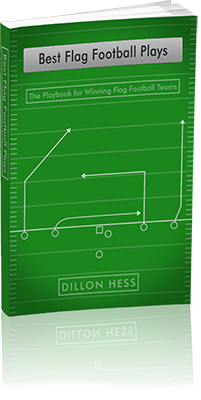 The Quarterback has to make a pre-snap decision on to select what side he wants to go to. 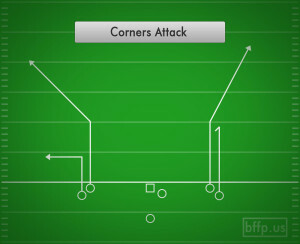 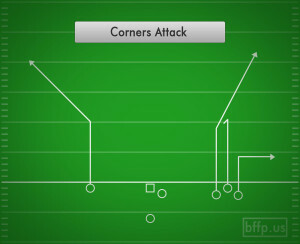 Once that decision is made, read the Cornerback to see if he is staying on the deep corner, or cheating on the flat.